Camptotheca acuminata Extract Camptothecin, 7689-03-4,Camptothecin,Camptotheca acuminata - Herbs-Tech - Zhejiang Yixin Pharmaceutical Co., Ltd.
Camptothecin is an alkaloid derived from the Chinese tree Camptotheca acuminata Decne. Camptotheca acuminata extract and its derivatives are unique in their ability to inhibit DNA Topoisomerase I, by stabilizing a covalent reaction intermediate termed the cleavable complex which ultimately causes tumor cell death. Store in a cool and dry area. Keep sealed and keep away from direct light. 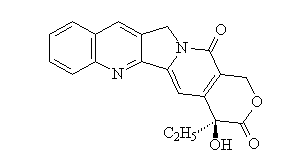 In clinical settings it is widely believed that camptothecin analogs exhibited remarkable anti-tumor and anti-leukaemia activity. Topoisomerase is a basilic enzyme in the process of DNA replication responsible for the winding / unwinding of the super-coiled DNA composing the chromosomes. If the chromosomes cannot be unwound, transcription of DNA messages cannot occur so that the protein cannot be synthesized, which ultimately causes cell death. Application of camptothecin in clinical settings is limited due to serious side effects and poor water-solubility. At present, some camptothecin analogs—either semi-synthetic or synthetic drugs based on camptothecin—have been applied as cancerous therapy such as topotecan and irinotecan, while others have obtained satisfying curative effects in clinical applications.